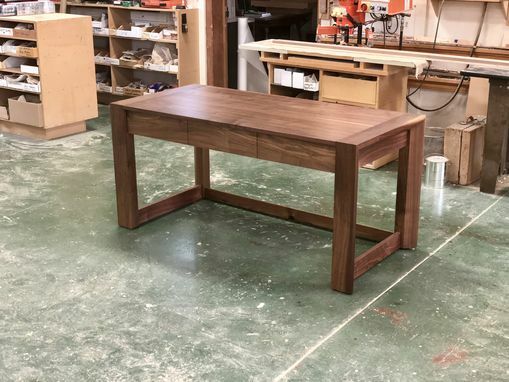 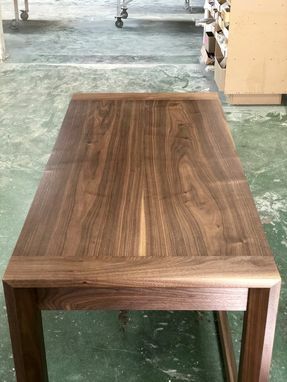 Modern Walnut Desk. 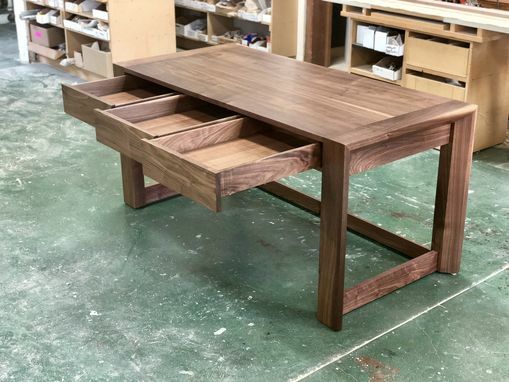 Expertly crafted using solid wood and traditional joinery to create a clean, modern look that would fit in any office. 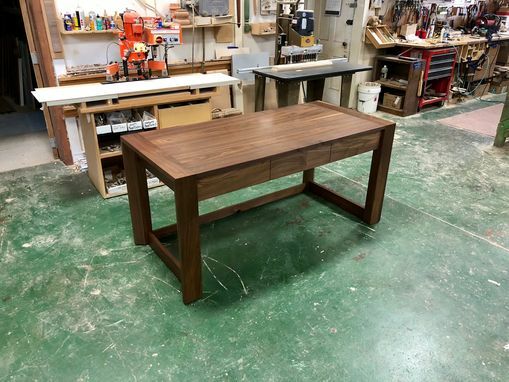 This desk features three drawers and a solid architectural modern aesthetic. 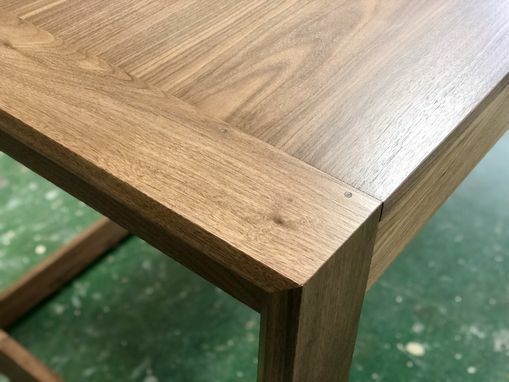 This desks wood and dimensions are customizable.